I'm not sure when I became enamored with yard sticks, I think it goes back to when my kids were preschoolers and learning to draw straight lines, trace their little hands, spell their names and figure out how to operate a pair of scissors. I remember the difficulty I had in finding a wooden ruler for them, it seemed that retail stores only sold cheap plastic ones which kept breaking. 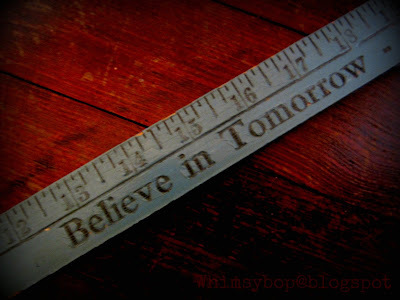 I finally found a wooden ruler in a thrift shop and continued to buy extras each time I happened to run across one which eventually led to buying yard sticks as well. 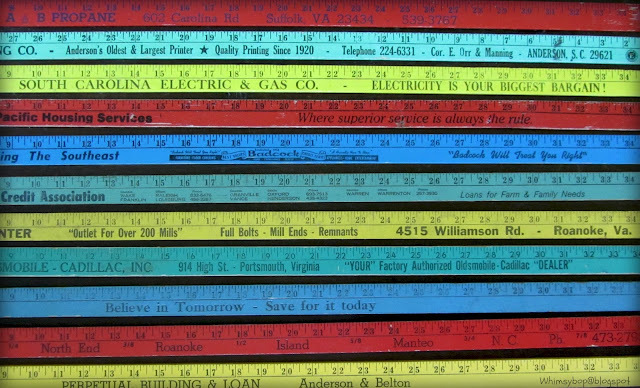 The yard sticks caught my eye because, not only did they come in beautiful colors, they were also full of interesting lettering styles (Typography) which I am drawn to. 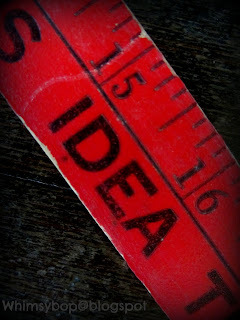 Back in the day, yard sticks were often used as promotional give-aways because they were long enough to contain an address, phone number and a catchy slogan. 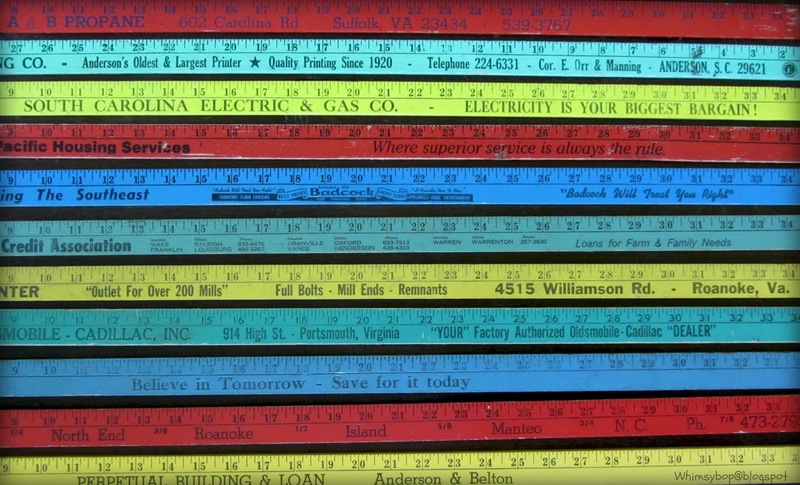 Yard sticks advertised businesses, endorsed political candidates and of course were an extremely useful tool to have around the house. I can't tell you when it was I stopped seeing yard sticks as trivial wooden measuring tools and began viewing them as fascinating pieces of Americana, but when I did, I was hooked! I often find vintage yard sticks when I go antiquing but they're easy to pass up when they are $10 - $45 (depending on the advertisement and size). I'm thrilled to find mine at flea markets, thrift shops, yard sales and estate sales, usually for under $2. I enjoy showing my yard sticks off as some folks might group a collection of old walking sticks or umbrellas - on the floor and ready to use at a moment's notice. 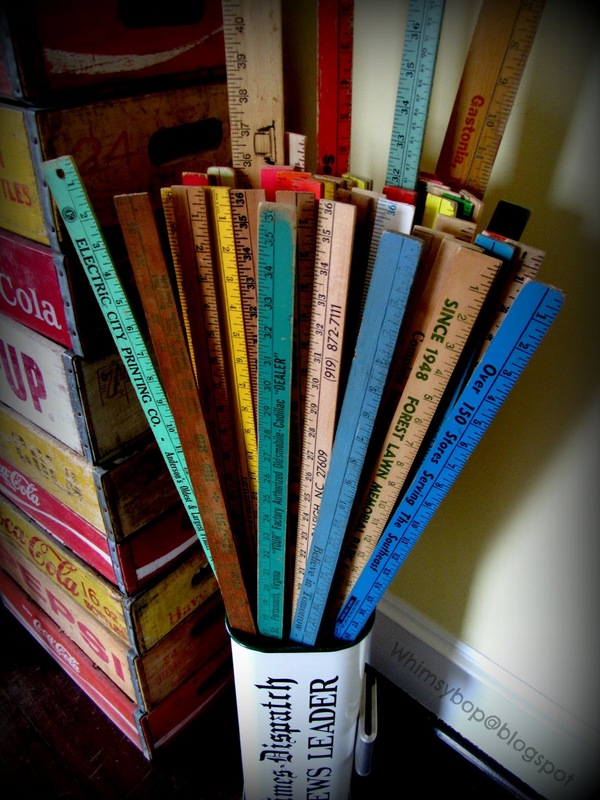 If I had the choice of receiving a long stem rose or a yard stick, I would definitely pick the yard stick! I can't help it. When they are bunched together they are just as lovely as a bouquet of flowers - but only better because they won't wilt or die; and as long as I keep them out of the sun, their colors will always be vibrant and eye-catching! Another fun collection! I had no idea you had so many collections. I remember reading a quote from someone once (I can't recall who it was), saying that people who collect things are more interesting. That was many years ago when I used to be boring. Boring? You? Ha! Not a chance... love you ya crazy & most interesting person.